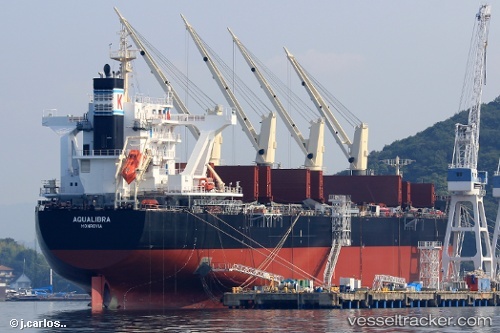 The "Aqualibra" ran into trouble on her second voyage just having completed the maiden voyage from Japan to Canada, while en route from Vancouver, where it had sailed on Feb 15, back to Panama. The ship was adrift since Feb 20, 2018. On Feb 25 she was taken on tow by tug "Robert Franco" (IMO: 9694311), to be towed to Long Beach, where she moored in the outer harbour on March 1.